Seasoning is Belieivng: Inspiring to cook! Looking to be more proficient in your own kitchen? Maybe you have aspirations of becoming a Chef! Either way... WE want to help you get there. w Featured in the Business Spotlight of Carolina Bride Magazine - 2010 January/March Issue. w Featured and highlighted on the Charlotte’s Local Access as the Chef for Providence Cafe in 2004 (now NAPA on Providence). w Competed in the 2011 Evie Award sponsored by ISES (now ILEA). Received recognition as 2nd top ccreative caterer against "Winner" Best Impressions Catering. w Catered for Tavis Smiley (Dinner w/Tavis Smiley for 300 @ The Harvey B. Gantt Center for African American Arts + Culture), Mike Minter (former NFL Panther star), and Traci Braxton (one of the Braxton sisters). 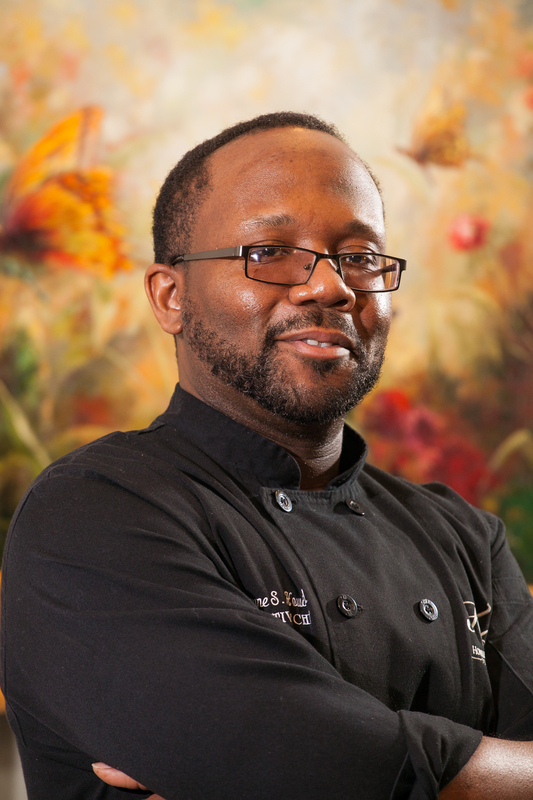 Leverage your opportunity to learn from the well seasoned, highly respected and creative Chef Dwayne Howard. 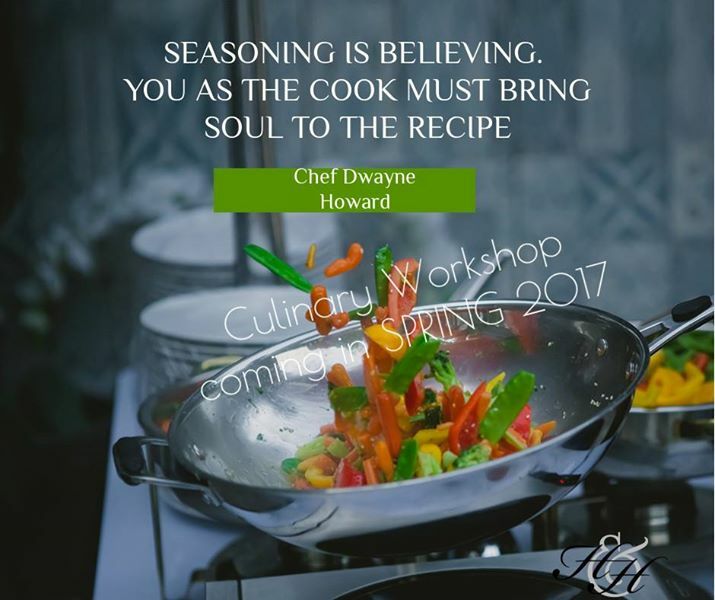 Chef Dwayne has put together a 6 week culinary workshop for the individual who is inspired to cook! What ever your need is, this workshop is for YOU! Cut vegetable like a Pro.